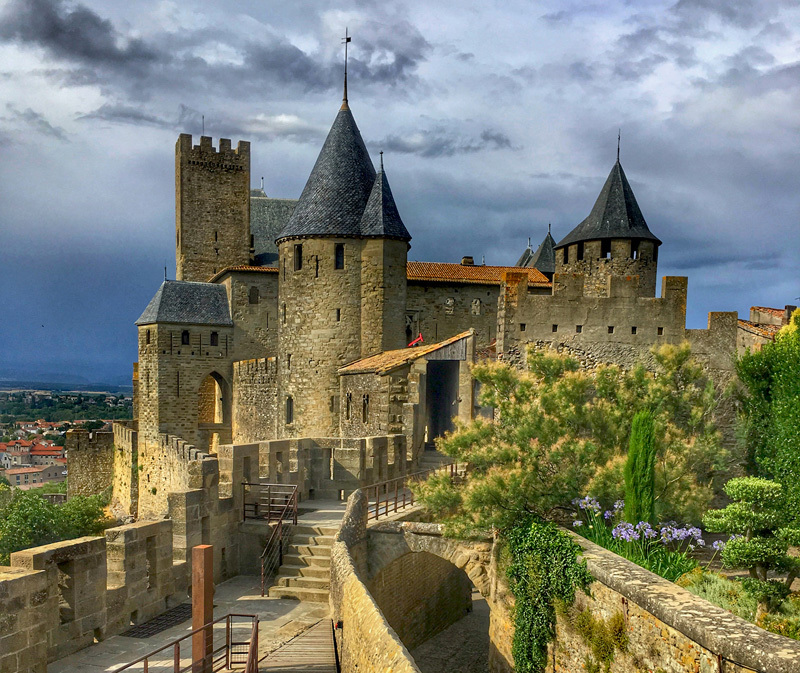 The UNESCO World Heritage Site of the old city of Carcassonne is every bit as enchanting when you see it in real life as it is in the photos. Its legacy goes back centuries, ancient tribes inhabited the area, the Romans arrived and built a fort – they called it Carcasso. The city changed hands several times, its history was colourful, it’s always been sought after. There is a legend that the Emperor Charlemagne laid siege to the fortified city for five long years in the 8th century. On learning that her people had just one pig and a bag of wheat left to survive on, the reigning princess, Dame Carcas, had the pig fed on the wheat and thrown over the ramparts. Charlemagne, believing that the inhabitants must have so much food stored they could afford to chuck it away called off the siege. Dame Carcas had the bells of the city rung in victory, “Carcas… sonne” it was said, “Carcassonne is ringing” – hence the name.